Thousands of university students staged rallies in front of the governor office of Aceh to demand the revocation of mining permit of PT. Emas Mineral Murni (PT. EMM). The protest that has been going for three days since Tuesday, April 9 ahead of the court ruling of the citizen and WALHI lawsuit at the Administrative Court in Jakarta regarding the issuance of IUP production on April 11 2019, is the biggest protest carried out by university students in the past decade. The students voiced out their rejection against the gold mining operation of PT. EMM because it is very detrimental for the environment and threaten the safety of the people. Parts of the concession are also located in protected forest area. If seen from its chronology, the permit issuance for PT. EMM is an insult of the Law in Aceh. The Decree of the House Representative of Aceh (DPR Aceh) Number 29 / DPRA / 2018 on November 6, 2018 states that the mining operation production permit Number 66/1 / IUP / PMA / 2017 issued by the Indonesian Investment Coordinating Board (BKPM RI) on 19 December 2017 is contrary to the Aceh’s authority as stipulated in Law Number 11 of 2006 concerning the Aceh Government. According to the Law Number 11 of 2006 concerning Aceh Government, article 156 states that the Aceh Government, the regional and city governments manage the natural resources in Aceh, including mineral mining, in accordance with their authorities and implement transparancy and sustainable development principles. The House of Representative of Aceh has recommended BKPM RI to revoke the permit and asked the Governor of Aceh to form a special team involving the DPR Aceh to make legal efforts against the permit. 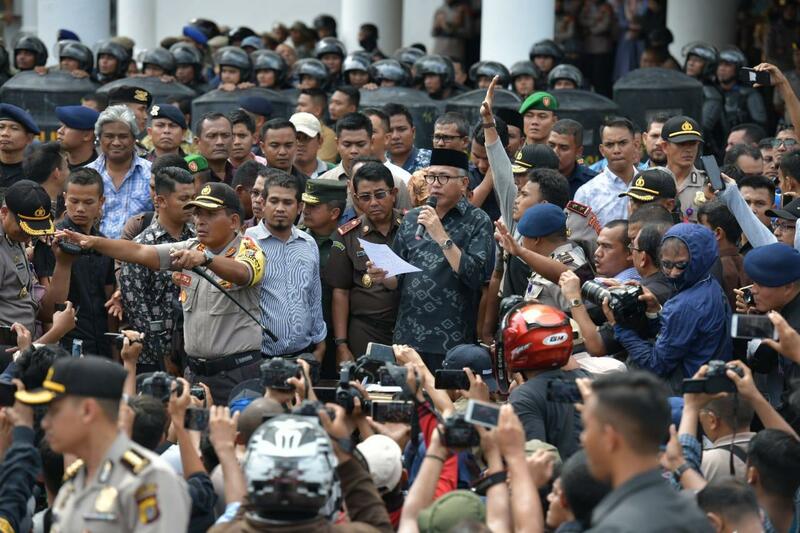 During the trials at Jakarta Administrative Court, a petition signed by various civil elements of people in Aceh, both students, organizations, civil society and other parties was also presented as additional evidence. In total, 63 evidences have been submitted to the court. WALHI Aceh and civil community of Beutong Ateuh Banggalang, Nagan Raya Regency, have made legal efforts as form of the seriousness to reject the mining operation. In the end, despite various facts and evidences presented at the court, the decision of the Jakarta Administrative Court hurts the sense of justice of the community, when corporations are allowed to violate the law, damage the environment, and sacrifice the rights of the people. After the verdict was handed down on April 11, Plt. Governor of Aceh stated that he would ask the central government to revoke the permit of PT. EMM and stop the activities in the field. The statement was made in front of thousands of students. At the gold mining site, the community expelled PT. EMM from Beutung Ateuh, the public relations of the company said that within 24 hours they would leave Beuteung Ateuh and promised to not return.